The marble sculpture of Moses (below) is simple compared to a human body, yet no one would claim this magnificent sculpture happened by chance. 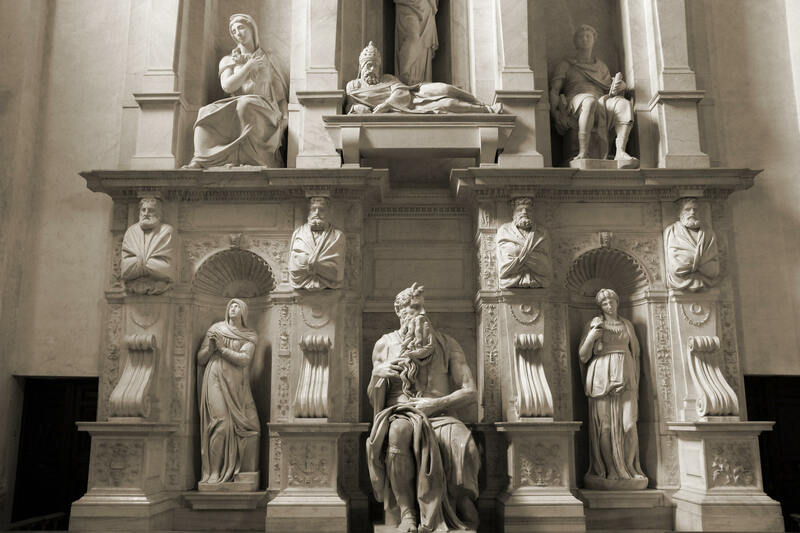 It is the work of one of the greatest artists of all time–Michelangelo (1475–1574). The Sistine Chapel is positive proof there was a Michelangelo. The Mona Lisa proves beyond the shadow of a doubt there was a Leonardo da Vinci. And the 5th Symphony is empirical proof there was a Ludwig van Beethoven. These marvels of talent and ingenuity don’t happen by accident. Even though none of us has ever actually seen these men, no judge or jury in the world would disagree that these great artistic works prove their creators existed. Michelangelo produced many paintings as did Leonardo da Vinci. The 5th Symphony was one of many produced by Ludwig van Beethoven. These works of art have value because they were produced by great masters and are few in number. But there is only one of you and not another will ever be produced. You are the rarest thing in the world. What the Mona Lisa was to Leonardo da Vinci, you are to God. What the Sistine Chapel was to Michelangelo, you are to God. What the 5th Symphony was to Beethoven, you are to God.